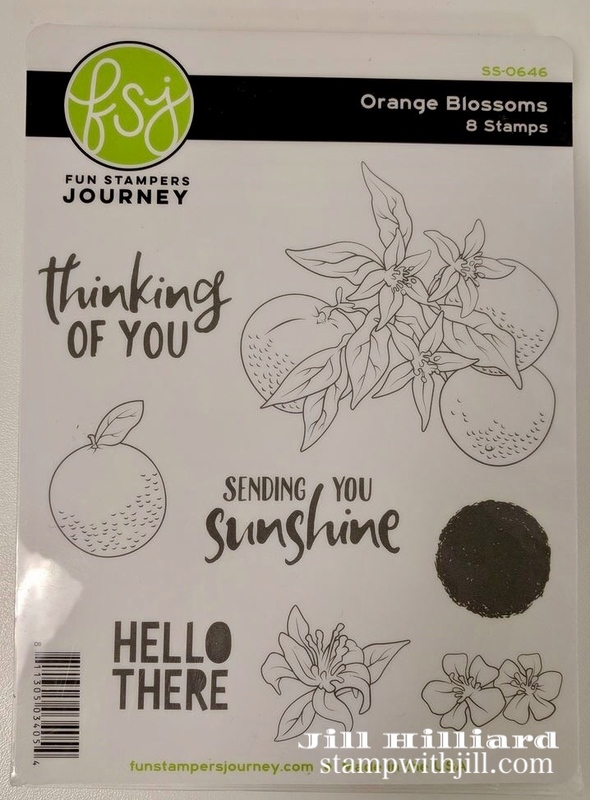 The February Stamp of the month is Orange Blossoms, from Fun Stampers Journey. Available today, February 1! 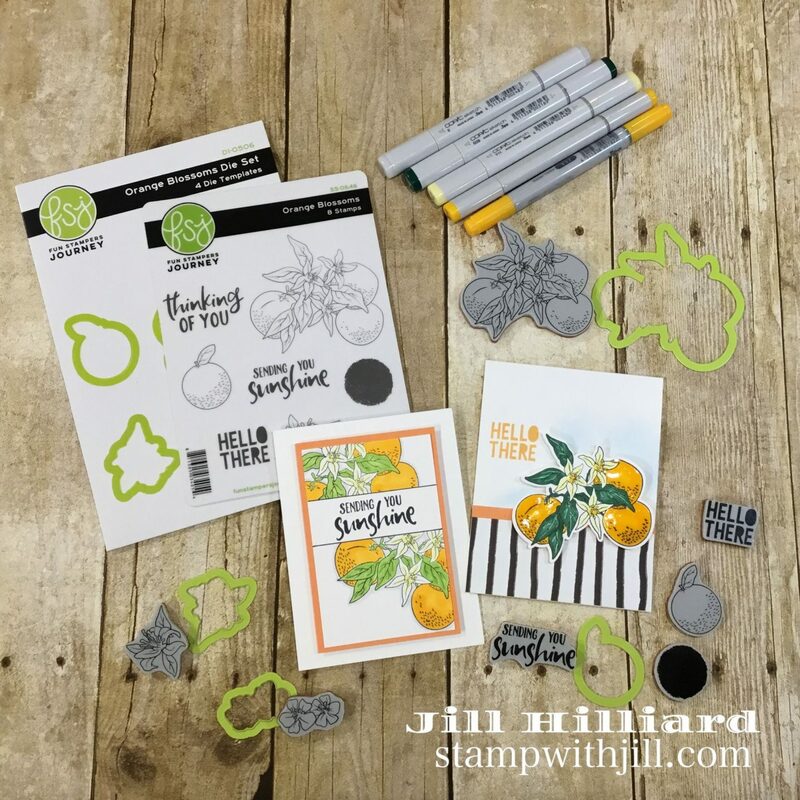 An undeniably beautiful stamp set that was a refreshing break from the snow, ice and frigid temps here in PA.
For this beauty I used simple masking. I stamped the sentiment 1st, then created a mask for the sentiment area and used a black marker for the faux layer. 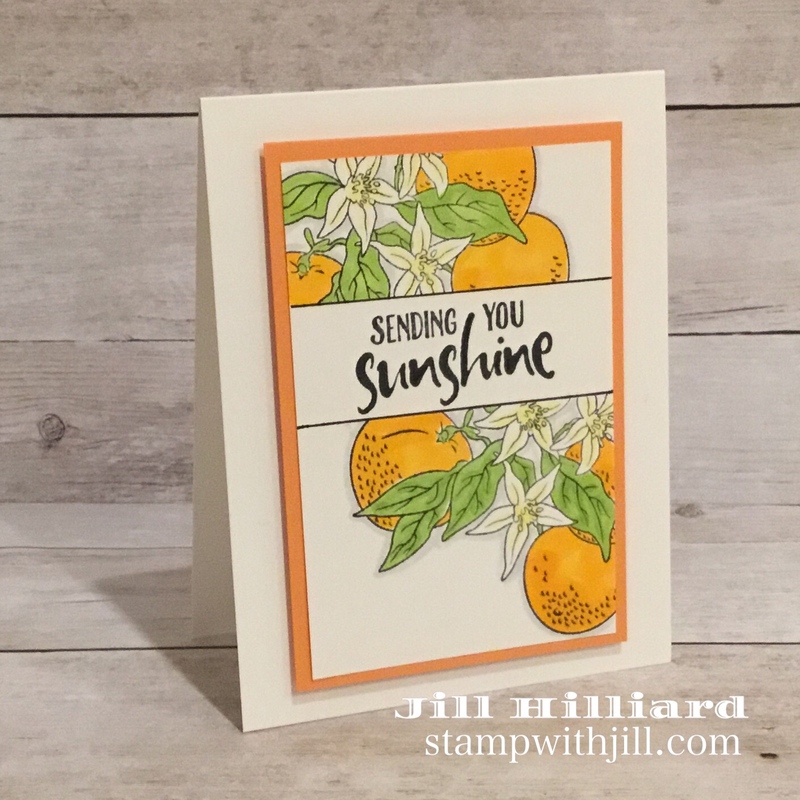 How fun that the Orange creamsicle cardstock was a perfect match! 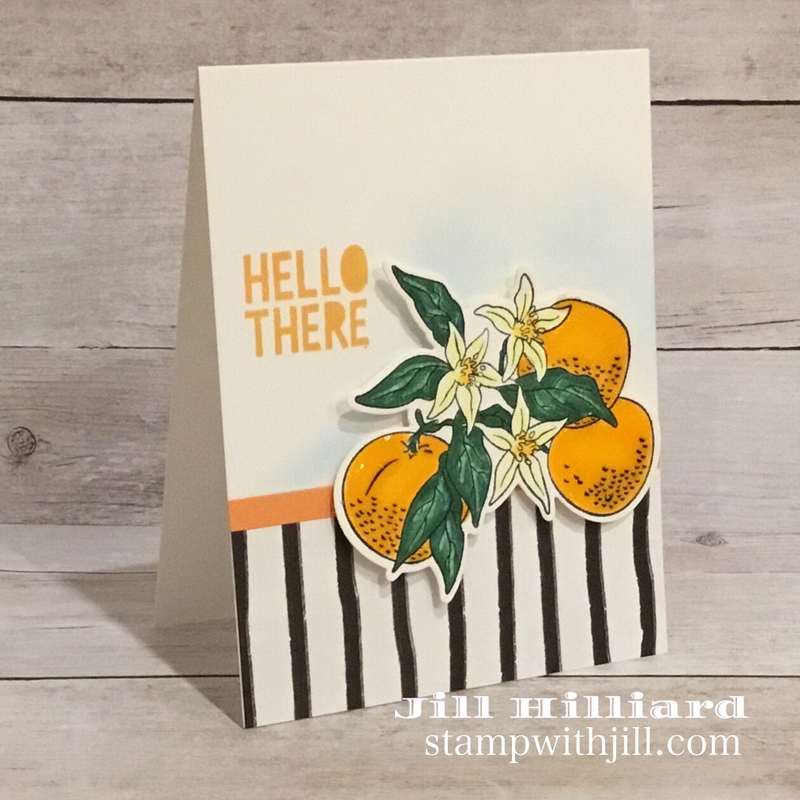 Did you know that the orange blossom is a historical sign of good fortune and is the Florida State flower? Totally WISH was I was in Florida right now! Great images and great sentiments! Plus dies you can add at the time of subscription! 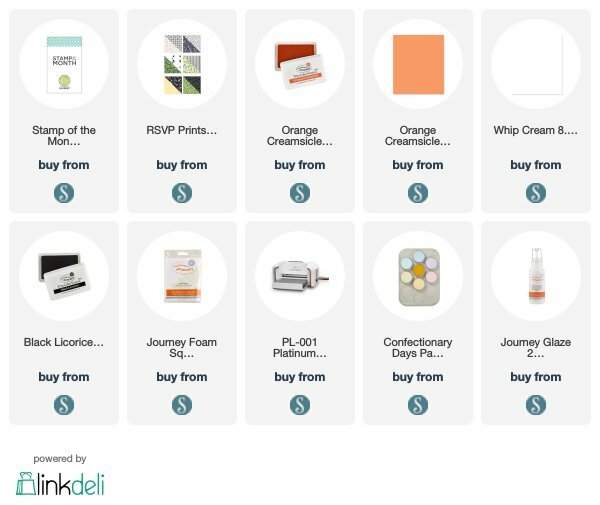 Member Benefits & Savings: Receive exclusive member pricing in the Spellbinders FSJ store. Plus receive access to deals, savings, and gifts – only available to members. 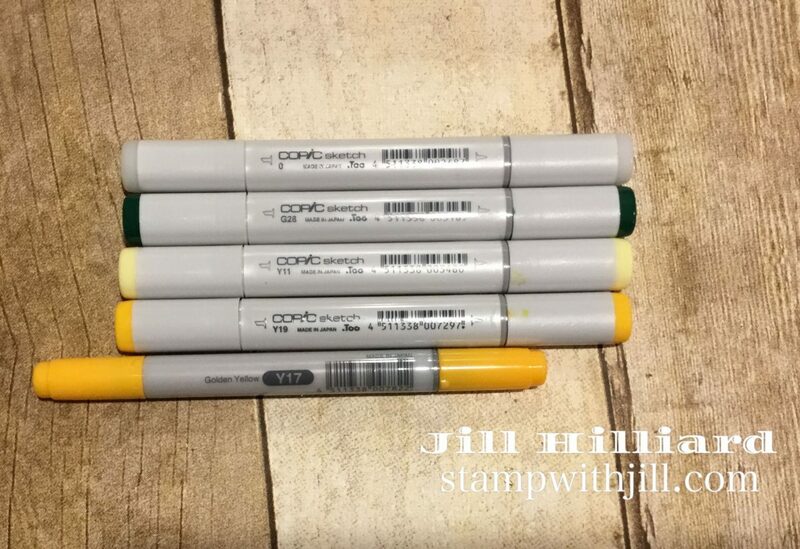 Subscribe to the Stamp of the Month club today. you can change, put on hold or cancel at anytime. No strings, but you have to subscribe in February to be guaranteed to get this set.